Custom glass table tops, professionally measured in your home or office; then delivered, cleaned, and set; insuring a perfect fit! 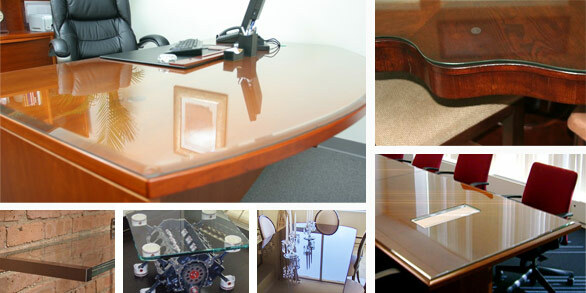 Our designer inspired specialty glass tops are the only way to protect and preserve the value of your desks, credenzas, conference tables, dining and coffee tables, and bedroom sets. 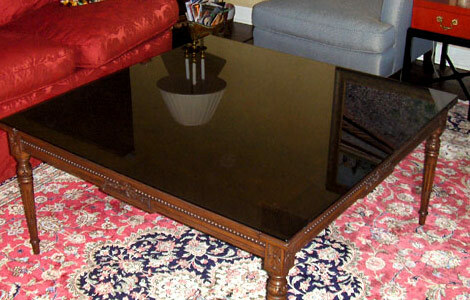 American Glass Top Company is the foremost authority for glass furniture tops. Call 1-800-793-1011 or contact us for an appointment today! 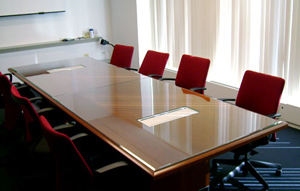 The rich, warm look of a high quality wood conference table is almost always the central focal point in any well appointed executive office or board room. Tough plate glass cut to fit perfectly. Available in clear, ultra clear invisi-glass or smoked bronze invisi-glass, which blends beautifully with darker colored furniture. Available with contemporary flat polished edges or more traditional beveled edges. 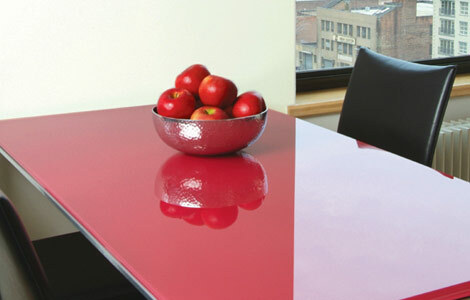 Available in a veritable rainbow of colors, back painted glass can be used as glass furniture tops where a completely new look is desired or a damaged surface can be covered up without refinishing hassles. An old pallet, some casters, and a quality piece of glass from American can create a versatile, rustic conversation piece.